Welcome to the November Stamp of the Month Australasian Blog Hop. This is a circular hop. If you arrived from Maz’s Blog, you are in the right place. Simply read through this post and click on the link to the next blog at the end of it. Keep reading and ‘hopping’ until you find yourself back where you started from. Each blog will showcase a project featuring the New Year’s Cheer (S1611) stamp set which is November’s Stamp of the Month. There is so much goodness on this one carrier sheet of stamps. Party invitation details, salutations for cards, that girlie bow (super cute for pages and cards) and my favourites, the two lovely glasses with the little bubbles! I meet with 2 of my gorgeous friends once a month to spend the day scrapbooking together. The person hosting provides lunch and champagne. The day has become known to us as “Bubbles Day”. I am on a mission to record some of the regular everyday things I do in my ‘Book of Me’ Album. This layout will celebrate our friendship and how much we love this monthly catch up. To create the title use the flag and bow stamps. These were cut using the Cricut Flower Market cartridge but they are simple shapes easily cut by hand. The font is also from Flower Market. The papers used on the layout are scraps left over from creating the City Sidewalks Workshop Your Way (G1114) layouts and cards. How cool that they don’t look Christmassy at all here. Working on a Sapphire cardstock background meant a journal box was needed. Rather than a solid box, these strips provide enough room for a couple of lines each and the bows act as bullet points. The champagne flutes were stamped using Lagoon ink (Z2895)on Lagoon cardstock. The Shimmer Brush (Z3293) was perfect to ‘fill’ the glasses and looks really fun in real life. New Year’s Cheer (S1611) is only available during November, 2016. Full retail price is $27 but you can have this gorgeous set for just $7.50 when accompanied by a $75 order. Place your order with your Close To My Heart Consultant. Did you like this layout? I’d love you to leave a comment for me before you click on the underlined link and move on to Doris’s Blog , Doris Taylor Creative Inspirations, to see the gorgeous project she has designed for you. 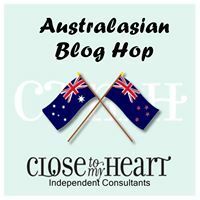 Welcome to the Australasian Last Chance SE1 Blog Hop. This is a circular hop. If you arrived from Wendy’s Blog you are in the right place. Simply read through this post and click on the link to the next blog at the end of it. Keep reading and ‘hopping’ until you find yourself back where you started from. Each blog will showcase a project featuring products from the Seasonal Expressions 1 Catalogue from Close To My Heart. All the papers and stamps in this catalogue will retire on April 30 and may sell out before that date. If you see something you like along the hop, place your order ASAP to avoid disappointment. The Beach Days Stamp Set is a firm favourite for me. We spend a lot of time on the coast of Western Australia and these whimsical critters and accents are perfect for my pages. All the shapes outlined in red can be cut from the Artistry Cricut Cartridge (Z3190). This made it a breeze to add lots of individual shapes to the first layout. It was fun to position the crabs and octopus playing with beach balls. The retiring Regatta Papers (X7206B) were perfect for these photos. If you love the beach and coastline, check out the other products in the Regatta section of Seasonal Expressions 1. Place your order with your CTMH Consultant. Did you like these layouts? I’d love you to leave a comment for me before you click on the underlined link and move on to Meryl’s Blog , Mez’s Craft Room, to see the gorgeous projects she has designed for you. Welcome to the Australasian Regatta Blog Hop. This is a circular hop. If you arrived from Georgia’s Blog you are in the right place. Simply read through this post and click on the link to the next blog at the end of it. Keep reading and ‘hopping’ until you find yourself back where you started from. 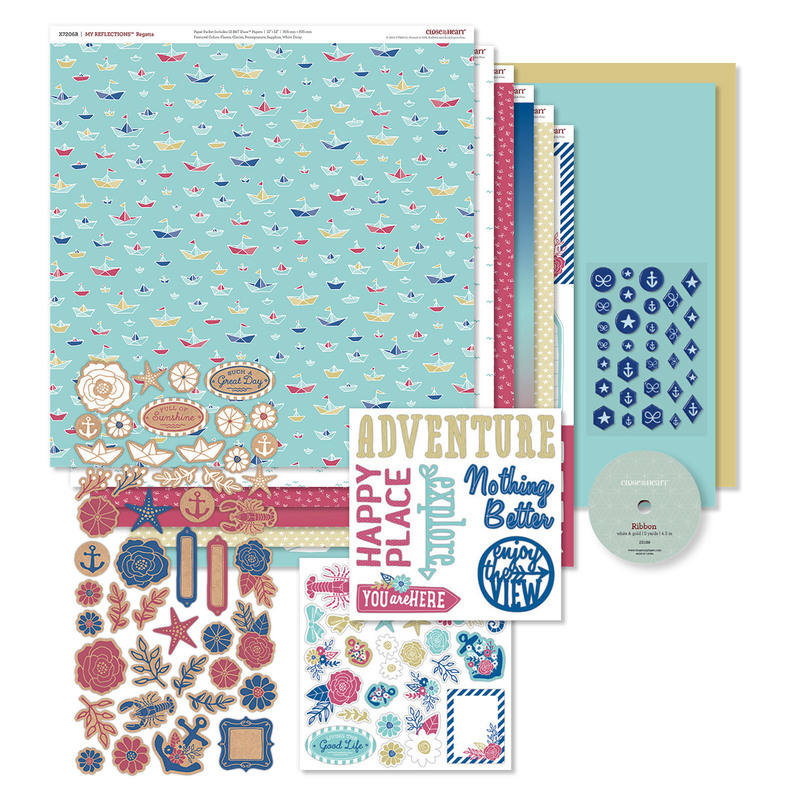 Each blog will showcase a project featuring the Regatta Workshop Your Way Collection (G1105) from Close To My Heart. Today’s layout features photos taken on the Close To My Heart Incentive trip to Hawaii in 2015. I love working for a company that rewards hard work with free travel for my husband and I. Do you like the journal box on this layout? It’s a PML card that came in the paper pack. All you have to do is cut it out and stick them down – it couldn’t be simpler. The gorgeous crab and starfish stamps come from Beach Days (D1684). They have co-ordinating Cricut cuts on the Artistry cartridge which makes life really simple! The Regatta Workshop Your Way (G1105) kit suits any photo theme. They are only available until the end of this month (unless sold out earlier). Place your order with your CTMH Consultant. Did you like this layout? I’d love you to leave a comment for me before you click on the underlined link and move on to Wendy’s Blog , Expressions of the Heart , to see the gorgeous project she has designed for you. I was thrilled to receive this page and certificate in the mail this week. Close To My Heart support the work of Operation Smile who help restore smiles to children living in poverty, born with cleft lip and/or palette. I can only imagine the heartache a mother feels when her baby can’t nurse because his mouth can’t close properly. I can only imagine the sadness felt by a child scorned and turned away from school because of this condition. I can only imagine the joy felt by every family member when corrective surgery changes that child’s life forever. That is why I support this charity. In our country, this surgery is offered early and is commonplace In other countries, families walk for long distances to mobile clinics manned by volunteers in the hope they will be chosen. Each dollar we raise in my crafting room goes toward helping one more family realise their dream. I want to thank all of the lovely ladies who join our Paper Picnics and purchase raffle tickets each month and those who make extra donations. Together we raised almost $1500 last year, that is 5 surgeries! You are wonderful. Here are a couple of close ups of the lovely page made by the CTMH art department It features La Vie En Rose papers and the Regatta Workshop Your Way. I look forward to taking a photo of my happy croppers next time we meet so I can complete the page. Click here if you would like to learn more about the work of Operation Smile. Click here to make a donation on my team’s Everyday hero page. A tax receipt will be sent to you. 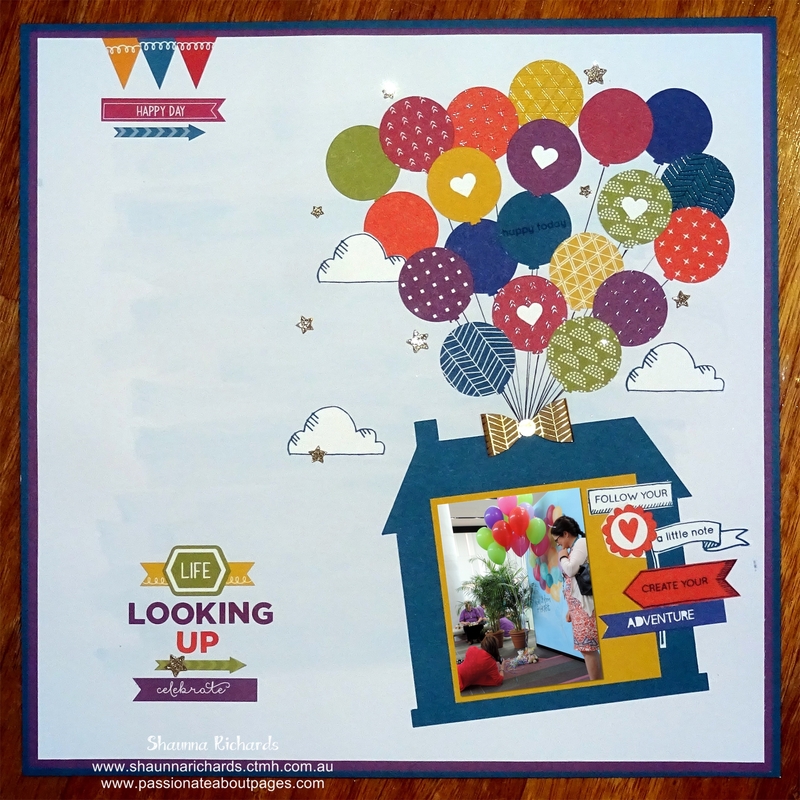 My layout today features my favourite scrapbook product – Flip Flaps! The design is adapted from one shared on Pinterest which featured a birthday cake. I don’t know the name of the original creator. I loved that layout but it was a bit of a fiddle. I’ve streamlined the process so it can adapt to any theme. The flower pot design comes straight from the CTMH Artistry Cricut Cartridge. You make it up on a piece of 10″ x 6″ paper and when everything is stuck down you cut it in to sections ready for the Flip Flaps. This idea can be changed up to suit any theme. I shared this layout at a class on the weekend and my customers came up with some fabulous variations. The La Vie En Rose WOTG, papers, assortment and complements suit any photo theme. If you use only the black and white patterns you can team it with any solid colour for a real wow page. Place your order with your CTMH Consultant. Did you like this layout? I’d love you to leave a comment for me before you click on the underlined link and move on to Wendy’s Blog , Expressions of the Heart, to see what she has designed for you. Welcome to the Urban Australasian Blog Hop. This is a circular hop. If you arrived from Mez’s Craft Room you are in the right place. Simply read through this post and click on the link to the next blog at the end of it. Keep reading and ‘hopping’ until you find yourself back where you started from. Each blog will showcase a project featuring the Urban collection which is available through until the end of August 2016. I love the textures and architectural elements featured in the designs of the Urban papers. They are a perfect pairing for photos taken during our tour of the Sydney Opera House earlier this year. This photo looks a little different to the first one… this is my base layout and the photo above shows the layout with Flip Flaps added. I wanted the layout to have strong clear lines, just as the Opera House does but, of course, we took way too many photos. My favourite product solved that problem. This is what the LH page looks like with the 4″ x 6″ Flip Flaps open. I love that I have lots of room for journaling now. And this is what the RH page looks like with the long 4″ x 12″ Flip Flap open. Adding a few stickers from the Complements Pack to the banners and journal boxes helped pull the layout together without making it too busy. The titles were cut using the Artistry Cricut Cartridge. Urban papers, assortment and compliments can be ordered from your CTMH Consultant . It’s our featured collection all month so keep your eye out for more inspiration throughout November. Did you like this layout? I’d love you to leave a comment for me before you click on the underlined link and move on to Denise’s Blog , Scrap Stamp Share, to see what she has designed for you. This paper pack is part of the bundle on special this month. It’s an absolute bargain. 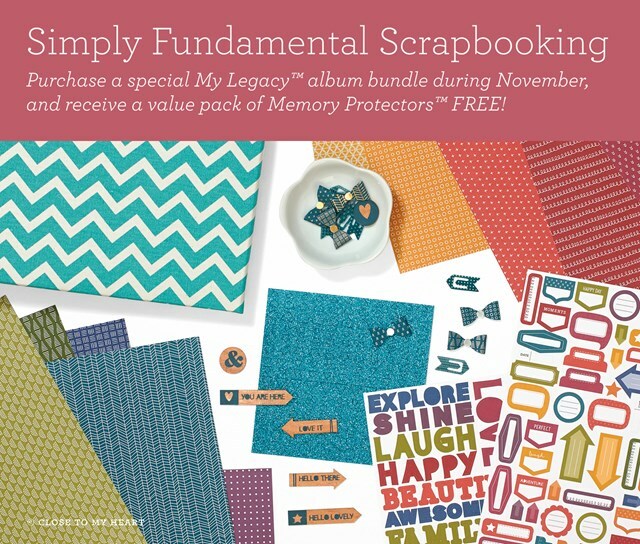 An album, papers, stickers, blingy bits and FREE page protectors plus FREE patterns for 5 layouts. Everyone ordering a bundle this month also receives a gift from me – all the pre-cut paper pieces to make this ‘Up!’ page and a FREE workshop in January to fill up that album. Click here for all the details of the bundle. 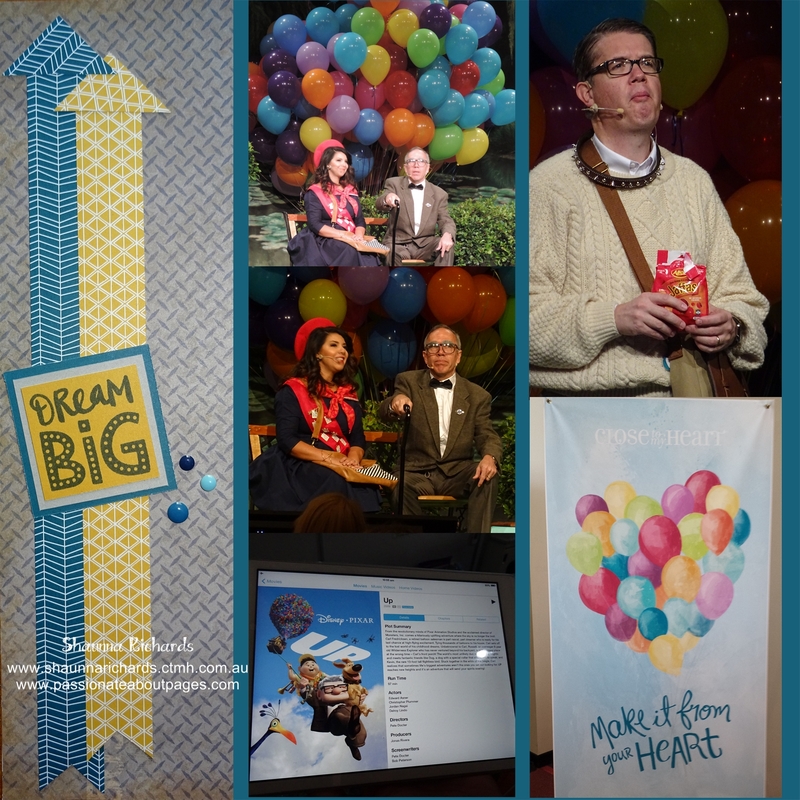 The theme of our convention was “Up!” and the opening session saw our executive team re-enacting the movie and cleverly introducing new products and promotions throughout their performance. It was so much fun to see our US ‘Numbers Man’ Brian Holman, eating endless Ozzie sweet treats as he played the part of the dog. Monica Wihongi’s badge sash was covered with Base & Bling and our own general Manager, Brian O’Callaghan, happily aged a few decades to play the main character. Do you have this much fun in your job? Join our team and come to Adelaide next October for our annual convention. All these gals are coming again. 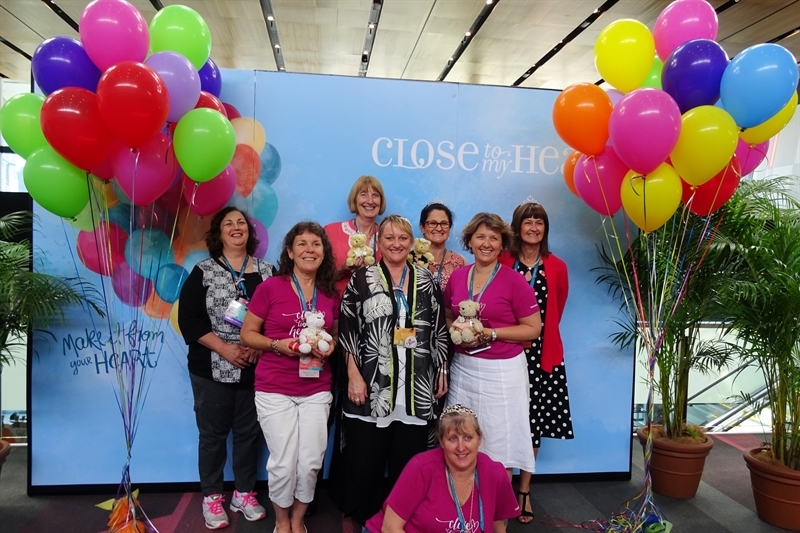 Click here for details about becoming a Close To My Heart consultant.